Speaking of beer tastings, I had a Fall Beer Tasting before my Oktoberfest Celebration to sample beers for possible inclusion on the Oktoberfest beer menu. 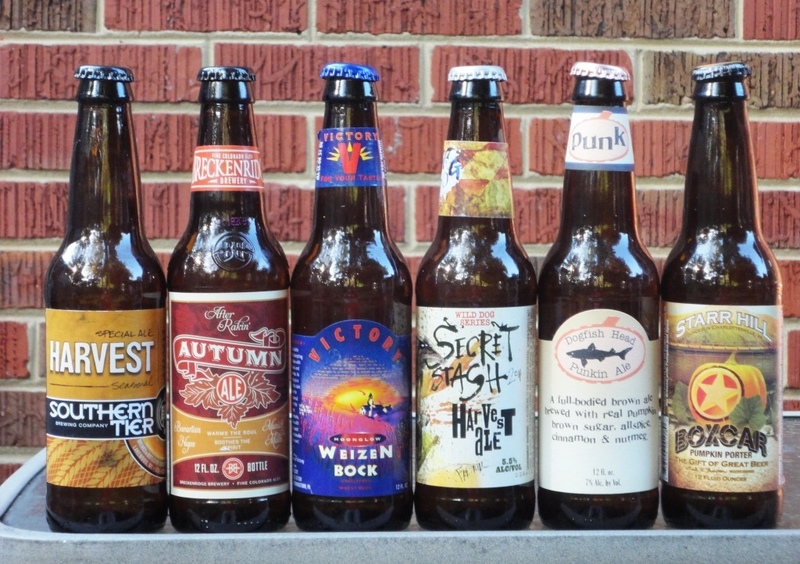 I found these Fall seasonals at Total Wine and More in McLean, Virginia, where I love to build my own six-packs. 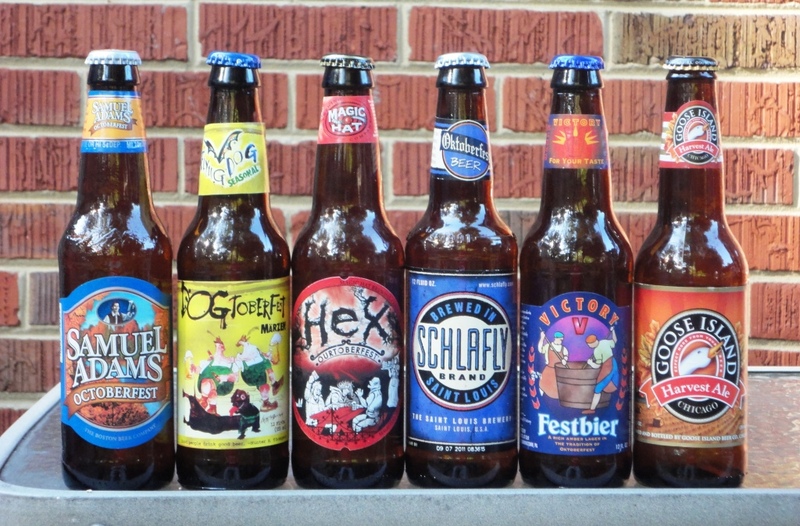 There are so many different brewers and craft beers on the market now that it is impossible to sample by the six-pack. So I like going to Total Wine and trying new beers by the bottle. If I like it enough, I’ll be back for a six-pack. While brewers continue to offer your classic Fall seasonal, the Märzen, many brewers are pushing the Fall style with awesome fresh takes on Oktoberfest beer. * Two of these beers were selected for the Oktoberfest Celebration beer menu: Southern Tier Harvest Ale and Victory Moonglow Weizenbock. I was in Total Wine in late October looking for more Fall brew and I saw several Winter brews for sale. If you’re like me and enjoy Fall brew through Thanksgiving, you better go out and stock up today! After all, what’s Thanksgiving without Pumpkin Ale? !